Help the Special Enquiry Detail crack the case, and catch a criminal. 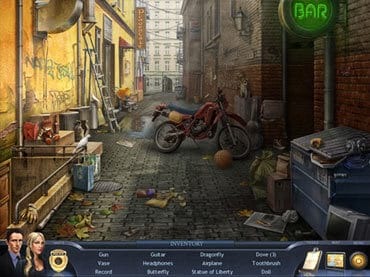 Bring a killer to justice in this captivating Hidden Object investigation. Play as two detectives investigating a group of serial murders. Follow the evidence while interrogating suspects and studying forensics. Search for helpful items and solve intriguing mini-games. Download free game today and find the answers hidden within spectacular scenes and deceptive puzzles. If you have questions about Murder in New York game, please contact us using this form.